How Many Kirbys Can You Fit on a DS Box? While gamers across North America can now wrestle with Kirby Mass Attack, European DS owners must wait until 28th October to get another dose of pink sugary fun. Nintendo Europe wants to put that right at the forefront of your mind, as the game's Euro box art clearly shows. Ignoring the rather more action-oriented cover adorning boxes in North America, PAL gamers get the logo surrounded by ten Kirbys, each little face contorted in a different emotion to convey the joy and anguish that awaits beneath the game's cutesy veneer. You can find more deep analysis in our Kirby Mass Attack review, of course. 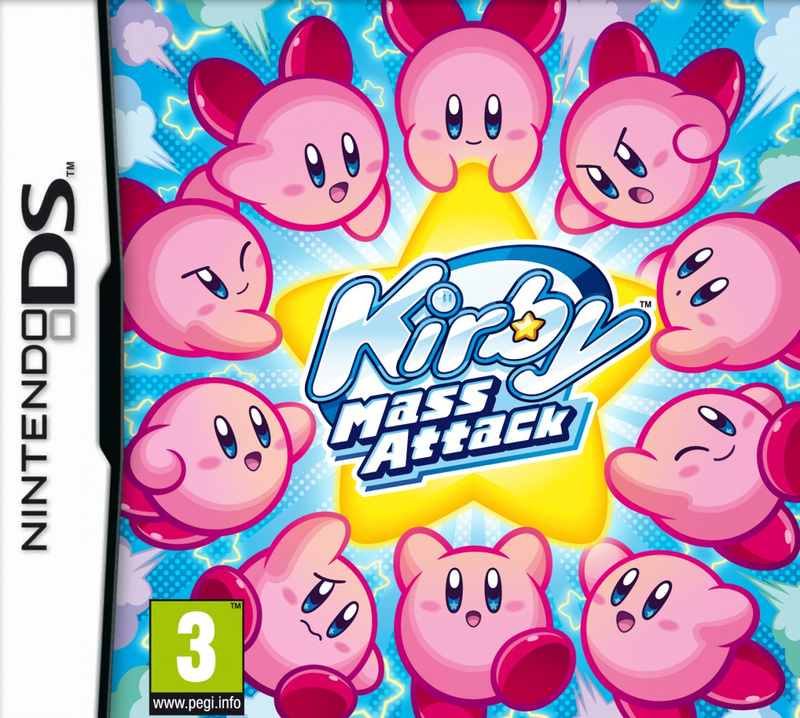 First there's Kirby Mouse Attack, and now Kirby Mass Attack. What's next, huh? 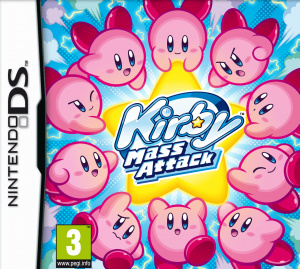 Kirby Mess Attack? It´ll be released 28th of October, not 21st which is why I´ve bought the NA version from the net. I definitely prefer the NA cover art on this one. The cover's the same as Japan's ^^ I like the confused one on the bottom left corner ! I can tell the Kirby in the top-right is from North America. Aww, I prefered the NA one. For a while I kept calling it Kirby Mass Effect. How fun would that game be? Who cares about the cover art. You are not going to be playing with the box. I like a nice cover art myself. So I guess I care, although it's certainly not a deal-breaker by any means. While the other one has more work put into it, this one conveys the message a lot better. and I've seen pinker boxes. [email protected] Well, there's this guy called Mati who,.. I've got mine from USA anyway, cuz I couldn't wait for the UK release date. Wow, the EU one is way better. I'm glad that we're getting this boxart in EU as i prefer it to the US one. Seriously, why does NOA feel the need to buff-up the box art of every Kirby game? The EU boxart is loads better! Pink box. Nice angle for a tag line. Going clockwise number 5, 6, 8 and 10 share the same expression to me. So it can't quite hold up to this one. And while i much preferred the Amrican cover yesterday i warmed up to the Euro version and think the former looks too much like your typical Kirby cover. I saw the box-art before. But anyway: Very nice box-art! How typical, just like on Spirit Tracks. Americans must be more homophobic than I thought (or at least NOA thinks so).